Located at the very heart of Savannah, Georgia, Bryson Hall is a historic event space that caters to those who seek the most sophisticated venues for all kinds of gatherings, celebrations, and corporate events. It’s also quite close to the Chippewa Square, which is one of Savannah’s liveliest attractions. Bryson Hall’s surrounding history goes way back in 1904 when Thomas Archer Bryson first started the Bryson Auto Exchange, the oldest auto dealership in the South and one of the oldest in the country. The space that’s actually occupied by Bryson Hall used to be the exclusive Packard showroom back in the 1900s. Meanwhile, the T.A. Bryson building employs an architectural design that was once famous during the early 20th century. More than a place to witness an overlooking view of Chippewa Square, T.A. Bryson is considered to be one of Savannah’s historic landmarks. Maintaining its historically relevant architecture such as the original windows that give overlooking views of Chippewa Square, the grand staircase, and the tin ceiling, Bryson Hall is able to remain a historically relevant place while providing clients a versatile space for the most memorable events. The venue is quite versatile enough to ensure that all the needs of the specific event are met. This 5,000 sq. ft. event space includes a kitchen, handicap-accessible comfort rooms, and even dressing rooms for the bride, groom, and other guests of honor. Interested parties may request to see the venue by appointment. These visits can be scheduled between Tuesdays to Saturday between 10:00 AM to 5:00 PM. Appointments can be set through phone. Bryson Hall can be booked online, through email, or in person. Their rates depend on the day when the event takes place. The venues are not available for rental on Sundays. Event period can be between 11:00 AM to 11:00 PM. The Bryson Hall’s indoor venue can cater to as many as 150 people in a luncheon seating arrangement, 120 for a wedding reception, and 200 for a standing arrangement. Round tables and Chiavari chairs will also be provided for 100 guests, while additional seats will be subject to a fee. Bryson Hall doesn’t restrict its clients in terms of vendors. Thus, any licensed caterer can be contracted to serve during the scheduled event. 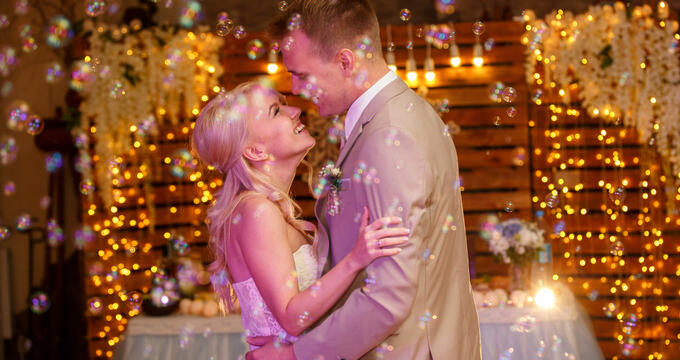 However, Bryson Hall has a Venue Coordinator that can recommend a list of preferred vendors to ensure that couples get everything they need to make the event a success. They also have their own bar packages for alcohol service. For more information about Bryson Hall’s wedding packages and rates, feel free to call 912-272-4435 or visit their official website. Their friendly staff will be more than happy to address your inquiries and concerns.